New Year's Eve in the Red Stick! New Year&apos;s Eve in the Red Stick! It&apos;s almost time for 2016! 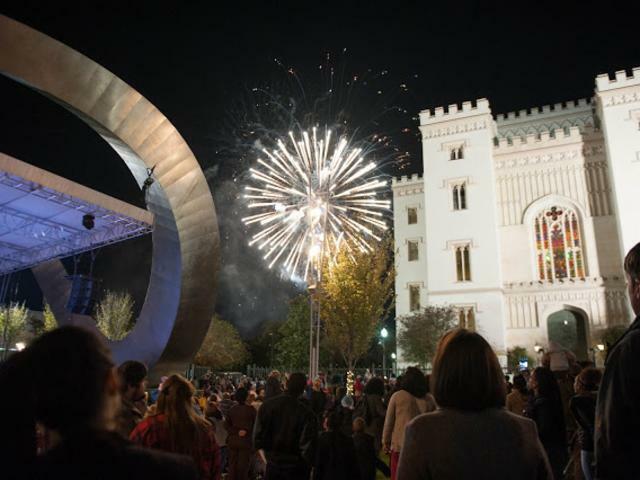 With that being said, check out some awesome NYE events going on in Baton Rouge! This list will be updated as we receive more events leading up to New Year&apos;s Eve. One of Baton Rouge&apos;s most popular New Year&apos;s Eve events is the Red Stick Revelry. The Red Stick Revelry is a free, outdoor and all day event that includes live music, activities, food and much more! Beginning at 11 a.m., children will be able to enjoy hands-on, arts and crafts and signing with Mayor Kip Holden as the Red Stick is raised into the sky, where it will sit until the countdown to New Years begins. Live musical performances begin at 7 PM with Sheriff Bud Torres and the Posse, and at 9 PM with Phat Hat, both performing at the Crest Stage in Galvez Plaza. At 11:59 PM, the Red Stick drops in North Boulevard Town Square to ring in 2016 with a fireworks show over the Mississippi River. For more information about the Red Stick Revelry, including parking, directions, merchandise or to purchase a VIP package, visit the website here. L&apos;Auberge Casino & Hotel will also host a variety of New Year&apos;s events! For reservations, visit OpenTable or call 225-224-4142. Guests must be 21 years of age and present a valid photo ID for all Edge and Bon Temps Buffet events. Kick off 2016 at the Lod Cook Alumni Center! For reservations, contact Jackie Walker by calling 225-383-2665. Check back for more NYE events soon! And Merry Christmas and Happy New Year to you and yours! 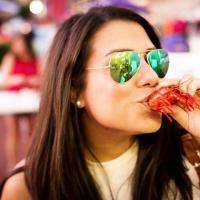 Cathy is the former Destination Content Manager for Visit Baton Rouge. During work hours, you'll find her engaging and inspiring others to visit Louisiana's Capital City. When not at work, you can catch her being involved in the local community and exploring festivals, local dives and attractions in the ever-growing Capital City. Follow Cathy on Twitter or Instagram.